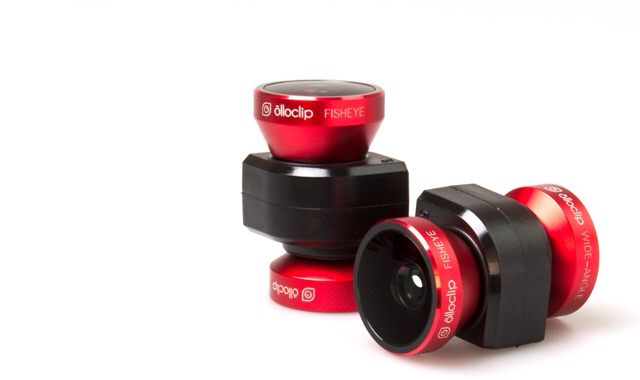 Oolloclip has introduced a new 4-IN-1 quick-connect lens for the iPhone and iPod touch. The olloclip 4-IN-1 lens system offers fisheye, wide-angle, and two macro (10x and 15x magnification) lenses in less than one ounce -- with enhanced optics and a sleek new design. The four new quick-change lenses are similar to those available with larger DSLR cameras, yet fit easily in a pocket and palm of the hand. 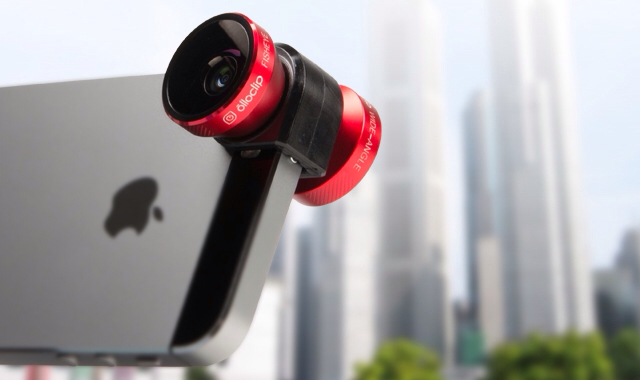 Simple, elegant and unobtrusive, the olloclip 4-IN-1 lens connects to the iPhone within seconds. With the fisheye and wide-angle lenses on opposite sides, selecting a lens is as simple as flipping the lens over. The macro lenses are cleverly revealed by unscrewing either the fisheye or wide-angle lens. Building on the success of the original olloclip 3-in-1 lens, the olloclip 4-IN-1 lens solution is designed from aircraft-grade aluminum and precision-ground, coated glass optics -- but with the specific field-of-view, light-control and resolution characteristics of the iPhone 5s' eight-megapixel camera in mind. The wide-angle and fisheye lenses have been improved to deliver sharper images, edge to edge, with less lens distortion and enhanced clarity overall. 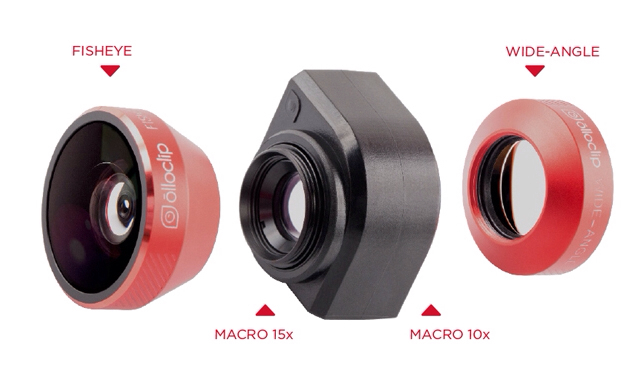 Additionally, the 10x macro lens has a focus distance of about 18mm, allowing users to get more light on the subject (as compared to its predecessor, the 3-IN-1 olloclip lens) and allowing more depth of field so that more of the image is in focus. "We wanted to enhance the new features of the iPhone 5s camera, including the five-element lens, autofocus matrix metering and dynamic local tone map that ensures more true-to-life color, while also complementing the iPhone's aesthetic look," said Patrick O'Neill, founder and president (CEO) of olloclip. "We believe we've succeeded in creating an elegant, pocket-size product that any iPhone user will be proud of and that any iPhone photographer will be inspired to use to create great art." ● Fisheye lens: captures approximately a 180° field-of-view. ● Wide-angle lens: nearly doubles the iPhone's normal field of view. ● 10x macro lens: 10X magnification with a 18mm focus distance. ● The 15x macro lens: 15X magnification, with a 12mm focus distance. ● Enhanced panorama: increases the field of view, horizontally and vertically, when used with the iPhone's panorama mode. ● Size: 1.5" x 1" x 1"